Earlier in the year drummer Barry Jenkins left The Nashville Teens to replace John Steele in The Animals. He remained with Eric Burdon in the 'new Animals' when the latter embraced psychedelia with a new line-up. Jenkins was replaced by Roger Groom who was the original Nashville Teens drummer during their stint in Germany. 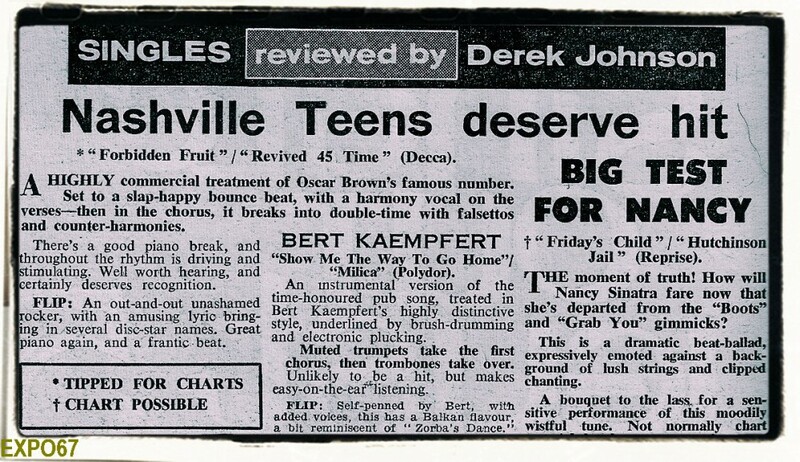 The change was reported in NME during April 1966. 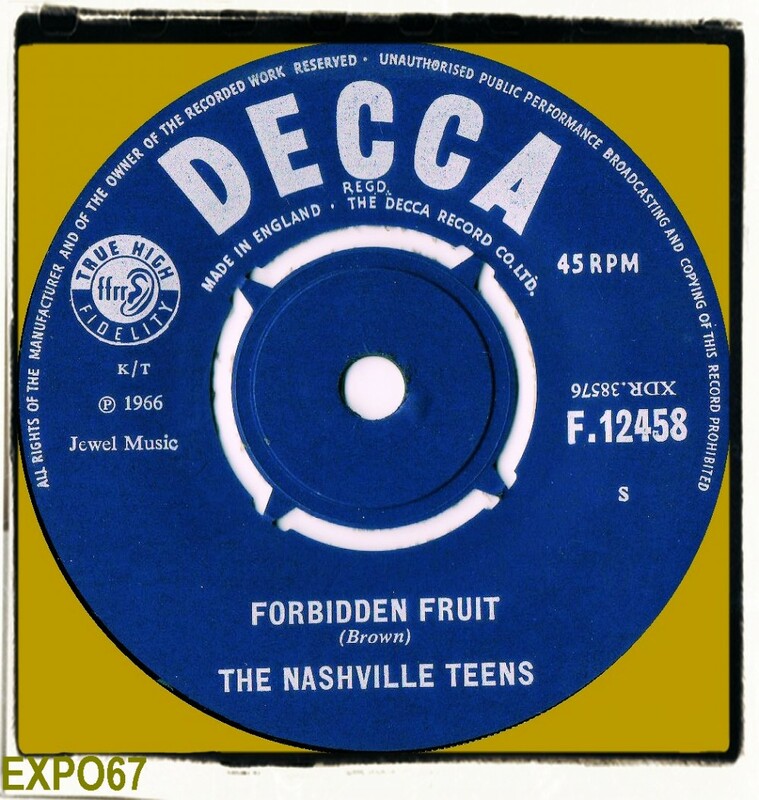 'Forbidden Fruit' was also recorded by The Mark Leeman Five and is not a very good song in my opinion. Rather corny and mundane. Just when aural freakbeat fireworks were being released by English groups in '66 The Nashville Teens could only muster this. The flip 'Revived 45 Time' is no better and is a strange 50s throwback. Definately their poorest release to date.